The truth is the United States has more people incarcerated than any other country in the world. As of yet elected officials haven’t done anything about it. There’s a lot of talk about prison reform and how the justice system is broken but where are the results? Care Pictures Love is tired of waiting for the true victims of incarceration to get the help they need. The Children affected by the justice system. More than 2.7 million children in the U.S. have an incarcerated parent. That is 1 in 28 children. Parental incarceration is now recognized as an “adverse childhood experience” (ACE); it is distinguished from other adverse childhood experiences by the unique combination of trauma, shame, and stigma. 62% of parents in state prisons and 84% of parents in federal prisons are held over 100 miles away from their residence. 43% of parents in federal prisons are held over 500 miles away from their last residence. Most prisons are not accessible by any form of public transportation, restricting child-parent visits. In some cases, this means children will never visit their parents. For many children, the most devastating and immediate impact when their parent is incarcerated is the loss of daily contact with that parent. The vast majority of incarcerated mothers, and 30–40% of fathers behind bars, lived with their children prior to imprisonment. Not having a parent around for play, emotional support, and guidance can be emotionally stressful. Another loss is financial—even when fathers did not live with their child, many provided financial support prior to incarceration. When a parent is incarcerated, family structure often changes. Family members may be forced to take on different roles to care for the children. Sometimes, children may have to move in with extended family if their primary caretaker is incarcerated. Children of incarcerated parents are more likely to be exposed to parental substance abuse, parental mental illness, conflicts with a parent, and harsh or punitive parenting practices than their peers who don’t have a parent in prison. While these conditions may have existed even before the parent goes to prison, they magnify a child’s stress following a parent’s incarceration. Children who have a parent behind bars often express negative feelings such as anger, guilt, or confusion about the incarceration. Exposure to correctional facilities when children visit their parents can sometimes cause emotional distress, unless it is a child friendly visit. Further, many caregivers don’t know how to talk to children about their incarcerated parent, and some don’t talk to them about it at all, leaving the child to deal with a confusing, ambiguous loss without the support they need. Compared to other children, children with an incarcerated parent are more likely to experience higher rates of poverty, food insecurity, homelessness, and physical health problems. In addition to potential loss of parents’ financial contributions while in prison, prisoners’ families may also face increased costs (e.g., phone calls, transportation costs for visits). Studies show that after imprisonment, ex-offenders still struggle to contribute to family income because they lack accumulated work experience or skills and because they face stigma from employers, making it hard to find a job. Emotional and economic stress at home puts children at a higher risk for social and cognitive difficulties. Studies show that children with incarcerated parents are twice as likely as their peers without a parent in prison to develop behavioral or mental health problems, including increased aggression, depression, and anxiety. They are also more likely to associate with delinquent peers, get into fights, skip school, have trouble concentrating, and to perform poorly in school. 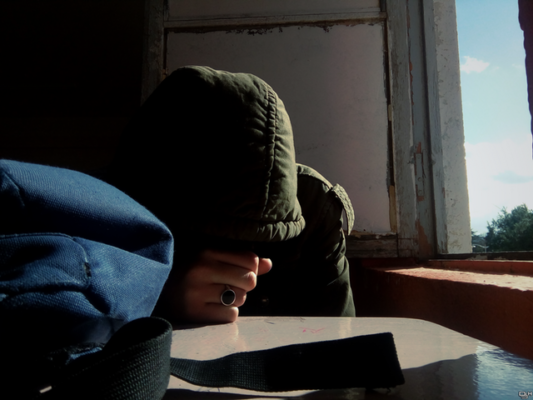 To make matters worse, children of incarcerated parents often face stigma at school from both teachers and peers, leading to feelings of loneliness and isolation that contribute to their stress. Research suggests that increased exposure to the social, emotional, and economic risk factors of having a parent in prison may affect children beyond childhood. Struggles in school and stresses associated with having an incarcerated parent may affect a child’s socioeconomic attainment later in life, limiting their opportunities. Because people with low levels of education and low income have a higher chance of being incarcerated, the effects of parental incarceration may extend beyond one generation, potentially passing disadvantage from one generation to another. Dealing with having a parent incarcerated for kids and Dealing with bullies while having a parent incarcerated. Webinar on the effects of incarceration on children and the community to raise awareness. Also allow supporters to make videos telling about the effect of incarceration on them, their children and providing a platform for parents to tell their side of the story in order to possibly bridge the gap and repair relations with their children. School supply giveaway, backpacks, folders, paper and writing utensils. Award scholarships to pay for higher education. Concerts to bring the community together, All events will be recorded and made into yearly documentaries on CPL and the progress we are making and the good things we are doing. Group homes for youth that lost parents due to incarceration. Where we keep them as connected as possible to their parents. Assist with parenting classes when parents are released from prison. In order to help them get their children back. Family and friends can easily send pictures to an incarcerated loved ones from their phone or computer. People will send pictures through app or website. 100% of proceeds from photo-sharing app will go towards furthering Care pictures love mission and vision.